This flavor seemed to sneak into the market a few months ago and into grocery stores without much of a stunt compared to the other Magnum flavors that made a controversial bang. Keeping a low profile for a change to silence the haters? 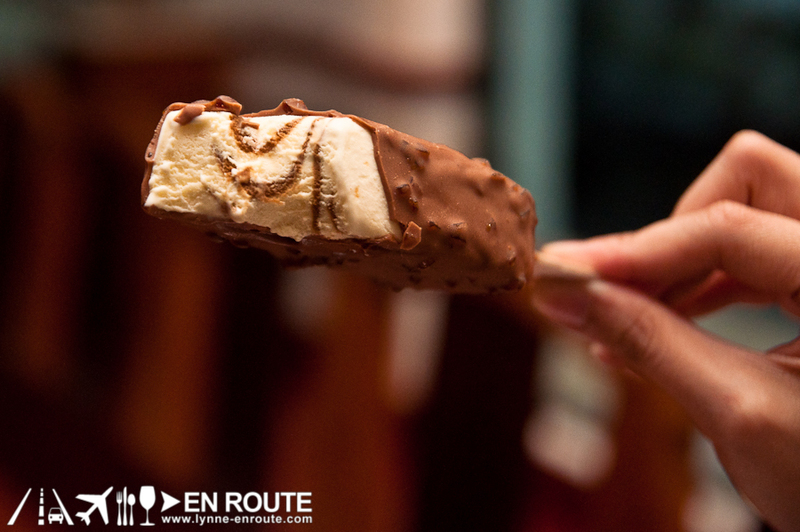 Selecta now brings in this Magnum Choco Cappuccino flavor to the Philippines to add to the locally available lineup. Per its package, this is a composition of vanilla ice cream with cappuccino strips, and a chocolate coating with bits of burnt sugar bits. So what it did was replace the usual almond bits in the chocolate coating with even more sugary goodness. It does seem like a seductive calorie bomb on a stick. Ironically, though, looking at its calorie information, this has only 230 calories as compared to the Magnum Classic’s 270 calories. How it has less calories when it has more solid sugar bits remains a mystery. As for the taste, it is still the same Magnum ice cream, but now there is an introduction of a mild coco bitterness from the strips of coffee flavor in the ice cream. You can see it when you bite it, looking like marbling. And the sugar bits? It is crunchy-super-sweet. Some have said that it comes out too sweet. But after a few more bites, the interesting bittersweet combination seems to grow on you. Is it for everyone? Definitely not. After all, the brand did gain its fair share of critics who refuse to even taste it and are comfortable to just judge it based on the price and its impact on those who aspire a higher social status level through an ice cream bar. No other way to find out than to get one at your nearest supermarket or 24/7 convenience store. 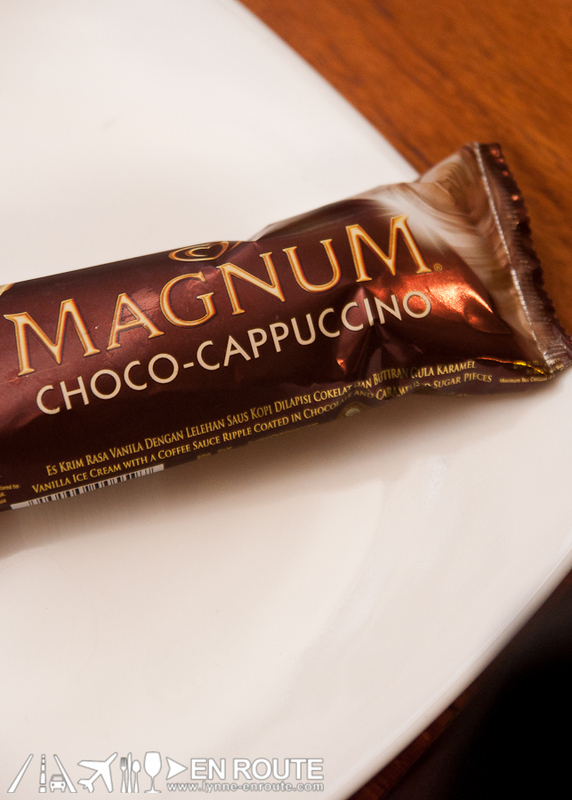 Have you tried the new Magnum Choco Cappuccino flavor? Think it’s another overrated ice cream? Send in your comments in the Facebook Comment Section below. i find it too sweet, the almond version is still the best for me.